Home / Unlabelled / [News] Kendrick Lamar Makes History With Pulitzer Prize For "DAMN." 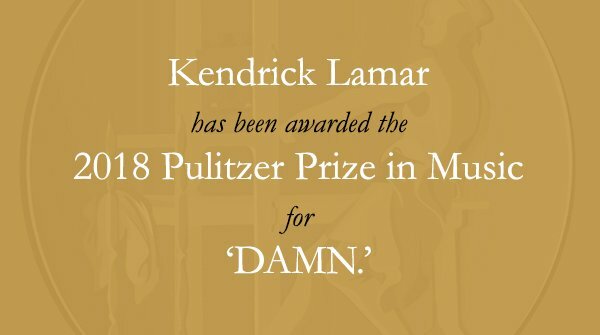 [News] Kendrick Lamar Makes History With Pulitzer Prize For "DAMN." 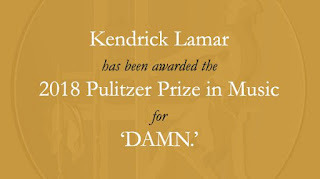 Kendrick Lamar has become the first Hip Hop artist to ever receive the Pulitzer Prize in Music. K. Dot earned the highly-sought after accolade for his Grammy Award-winning album, DAMN. The Pulitzer Prize in Music is typically awarded to classical artists and jazz musicians. The significance of Lamar’s critically-acclaimed album granted his work to be among the likes of MacArthur Fellow Julia Wolfe and last year’s winner, Chinese composer Du Yun.